The shadowy flyer which darts by on a summer evening is always welcome. Bats are the scourge of insects by night, as are swallows by day. Mediaeval mythology aside, these delightful creatures are welcome to all of the mosquitoes they can eat. Eight species of bats have been documented around the area; all eat nothing but insects (yeh!). 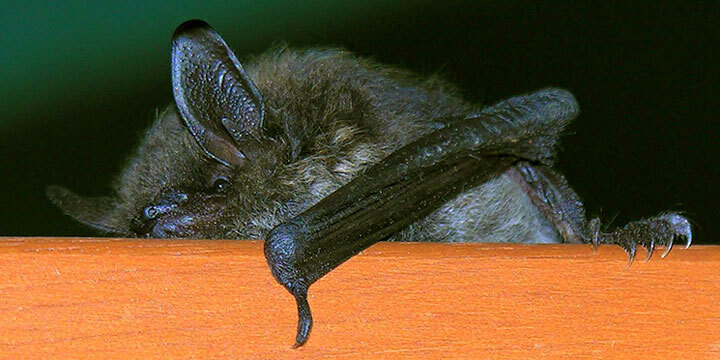 This sleepy little Myotis bunked down for the day in the folds of a collapsed deck umbrella, only to discover that with the arrival of daylight, someone opened the umbrella. It is probably a little brown bat, but this view does not enable the determination the particular Myotis species. 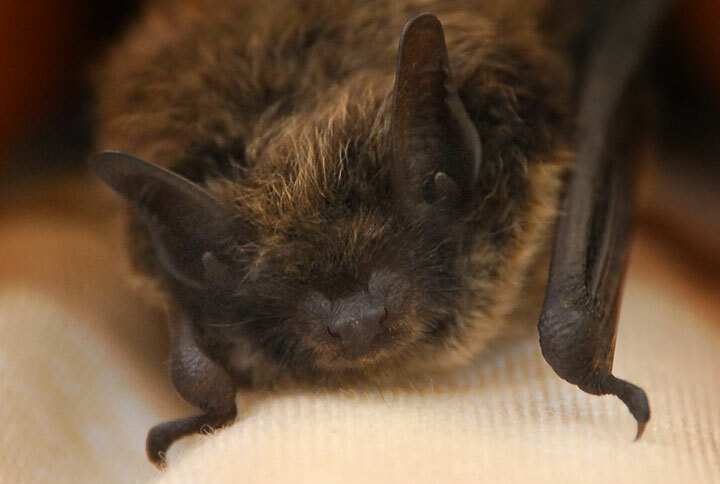 The little brown myotis is perhaps the most common bat around. It can catch hundreds of mosquitoes each hour while feeding. Bats seek a place to sleep through the day. 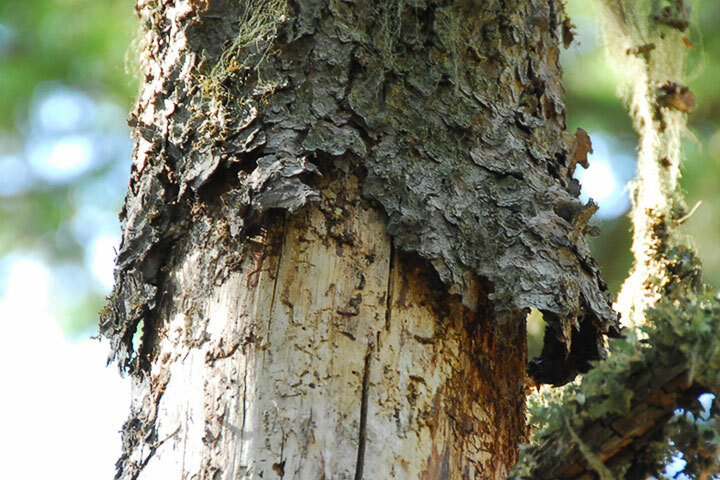 A favourite spot is the loose bark of a dead tree.